Nearly 91 percent of Dhaka residents boil water supplied by WASA before consuming it and spend a staggering Tk 3.32 billion on fuel, mostly cooking gas, every year, says Transparency International Bangladesh (TIB) report. 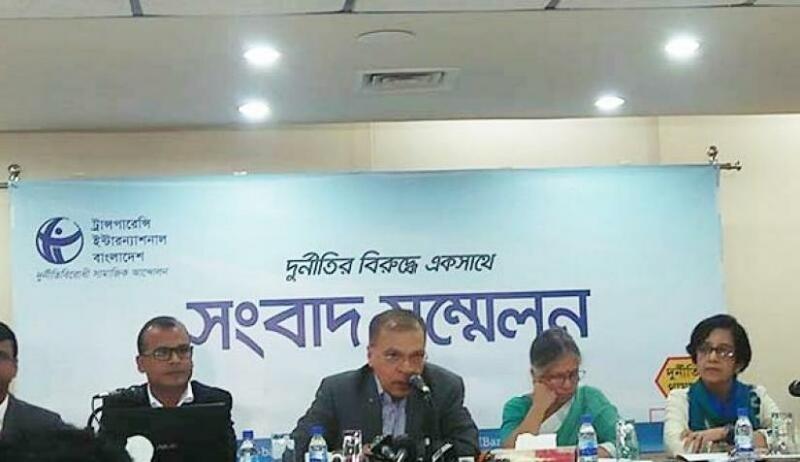 In a study published on Wednesday (Apr 17), it said that 45 percent of the Dhaka population gets less than the required amount of water due to the deficiency of WASA water. The research institution collected data from 2,768 people from 10 zones where WASA supplies water. “Water doesn’t need to be boiled in any of the countries in Asia. WASA needs to address the matter,” TIB Executive Director Iftekharuzzaman said while launching the study. Amongst the zones where there is water shortage, fall the slum areas. Nearly 71.9 percent of the water demands are not met in those areas. In addition to that, 45.6 percent of the water demand isn’t met in the residential areas, 34.9 in commercial zones and 19 percent in industrial zones. WASA is unable to meet the demands of 43.9 percent of its consumers, says TIB. The report also addressed the irregularities and graft which has led to the consumers’ sufferings. TIB claims that the organisation has are several irregularities, including intervention from ministries during the appointment of officials. In addition to that, the board’s decision is often neglected in specific matters and the promotions and transfers are often decided without any regard to the rules. It says that 86.2% of customers have to bribe Wasa officials directly while 15.8% have to pay money to brokers to ensure services. Around 59.6% of service holders of Dhaka Wasa had to bribe different officials in order to obtain their services in due time. Moreover, 78.5% of consumers are dissatisfied with the sewerage service of the provider and only 2.2% said they are satisfied.